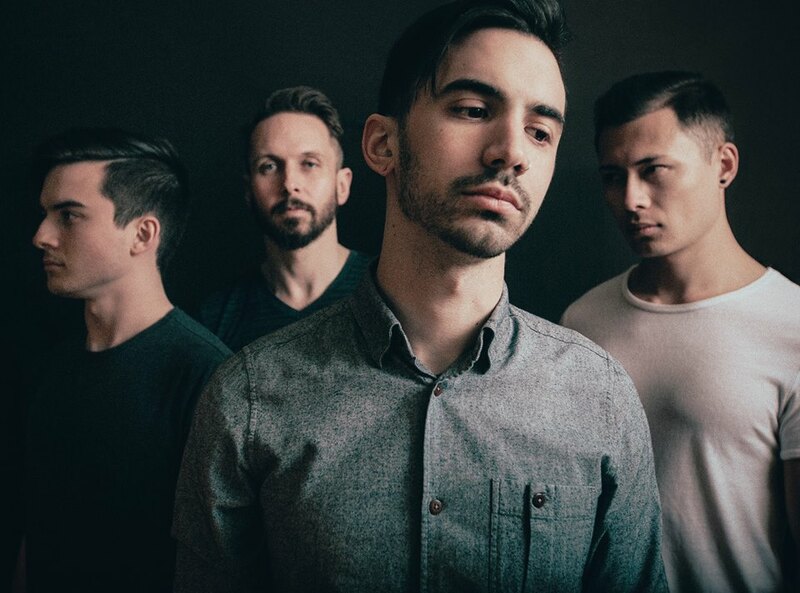 Interview: Vespera's Jonathan Wolfe talks new band, hitting rock bottom, and finding his place in music - GENRE IS DEAD! Jonathan Wolfe (Slaves, Falling in Reverse) is no stranger to the music scene, but he’s only recently found where he truly belongs with Vespera. Born from a dark period in Wolfe’s life, the band served as a way for Wolfe to not only get in touch with himself, but also find his passion for music again. With debut single “Bloom,” Vespera is ready to share their music with the world. Wolfe joins GID to talk about the journey to Vespera, hitting rock bottom, and what it took to get him back to music. GID: So how did you start up Vespera? Jonathan Wolfe: Vespera was a very unexpected thing. The band came together during my hiatus in Seattle. I moved out of Los Angeles after five years, finally got the chance to rediscover myself, and with time I would finally shake off a two year writer’s block. I began to write music, ended up getting a whole album done, found some amazing band members, and filmed six music videos in a week – we didn’t even have a band name yet. We’re continuing to work hard each and every day with the goal of surpassing where I once sat in the industry. GID: Six music videos in a week is a lot. Why film them this way? JW: It’s simply part of the whole strategy of how I wanted to put this band together. It’s very important to plan ahead, and that’s what we did with filming six videos before ever publicizing the band. It was definitely a challenge, but it really helped us all bond as a team. It’s not every day that a band meets for the first time, rehearses for a whole week, and then films six music videos right off the bat. It proved to me that I was working with a special group of people. That work ethic has carried over since then and we’ve had some amazing results. GID: Can you tell me a bit about the new album The Thoughts That Plague You? JW: This entire album is extremely personal and emotional. It’s a story of all the strife I’ve endured and all the emotions I’ve felt throughout the time I consider “rock bottom.” This album is meant to connect with listeners on many different fronts. Sonically speaking, we play around with different aspects of rock music. I didn’t want to be pigeonholed into one type of sound. Perhaps we expose listeners to different sides of music they didn’t expect to ever listen to, but I will definitely say this: If this album doesn’t give you chills, I have failed you as an artist. GID: What does starting this band mean to you? JW: Vespera is a second chance to do what I truly love. Heck, it’s a second chance for a majority of the members in the band. Most of us nearly hung up our hats and ventured off into other professions. Instead, we’ve come together with the intention of creating honest and genuine art. I feel beyond fortunate to be doing music with such amazing people. It’s refreshing to be surrounded by individuals who love music just as much as I do and are willing to do whatever it takes to persevere. GID: What happened where you were on brink of giving up music, which you have so much passion for? JW: It’s really tough maneuvering through the music industry as you’re in the middle of growing up and discovering who you are. I was met with a lot of opposition and always found myself hitting a brick wall. Many of my genuine efforts were overlooked and often ridiculed. That can really wear someone down after a decade. I’ve been gas-lit a multitude of times for menial things like “over-performing” on stage, putting my foot on the “singer’s riser,” choosing to remain sober on tours, and my absolute favorite, bringing someone’s finished laundry into their green room. It left me feeling confused and ostracized, even in bands that I’ve started. I felt out of place for a majority of my career as a musician. I’m just relieved that I’ve finally found a place where I truly feel that I belong. GID: You said that David Bowie’s quote about pushing yourself further is what motivated you to get back to music. If you hadn’t stumbled across that quote, where would you be right now? GID: How has David Bowie influenced you? JW: Bowie’s music didn’t inspire my compositions, but what he’s done for society is beyond inspiring. Knowing that a single individual’s bravery, resilience, and wisdom could galvanize positive changes and forward-thinking mentalities in so many people is something I admire deeply. People like Bowie, Prince, and [John] Lennon have created a pathway to selfless art. I want to walk a similar path they once did, and I hope that Vespera can one day be just as revolutionary in making a positive impact in the world. GID: The new single “Bloom” was inspired by you and your girlfriend’s relationship struggles. What was it like sharing something so personal and emotional with a wide audience? JW: I’m happy to reveal these parts of myself to absolute strangers. So many of us are afraid to wear our hearts on our sleeves in fear of being ostracized and judged. I lost interest in “fitting in” or “belonging” to a certain group of people a long time ago. I just want to say what’s on my mind and in my heart in hopes that it connects with people who feel isolated, ostracized, or alone. It feels good to share a piece of myself. It’s almost therapeutic. GID: You say that sharing personal songs is therapeutic. Do you see music, whether writing it or listening to it, as a form of therapy? JW: Some days to unwind, I’ll just pop in some headphones, go on a long walk with my dog, or just sit in my studio for hours getting lost in studying the beautiful art others have created, like compositions by Nobuo Uematsu. That’s truly therapeutic for me. But I’m not the biggest fan of writing music as I’m going through something. I find myself most inspired and proactive when there’s a good vibe in the room. If I’m under the weather I’m just not as productive, motivated, or expressive. I enjoy revisiting old wounds after I’ve recovered from them and writing from a point of clarity and understanding. At the end of the day, my real therapy is on stage. Expelling all of my energy and connecting with so many people in a room is where my heart truly resonates. It’s an indescribable feeling, and I’ve been missing it for a very long time. GID: What’s next for the band? When can we expect to hear more? JW: I’ve taken my time in putting this together and I’ve got some big plans for us. We will be sharing new stuff every month and releasing videos throughout the year. We’re planning on filming a few more very soon. I’m shooting for the stars and hoping to unexpectedly end up even further than I ever imagined. I can only hope that every reader will join us in this endeavor and push forward with us. Vespera’s debut LP, The Thoughts That Plague, is due out later this year. Make sure to follow them on Facebook and Twitter for updates on what’s going on with the band. The band features Jonathan Wolfe (vocals/guitar), Jonathan Schwartz (drums), Carin Tse-Lalonde (guitar), and Paul Andersen (bass). Pingback:Hear Vespera's Blistering New Song 'Deafening, Dissonant' - GENRE IS DEAD!